While getting plenty of vitamins in your diet is a must, too much of a good thing can be problematic. As with many other nutrients, consuming too much vitamin B6 can be toxic. 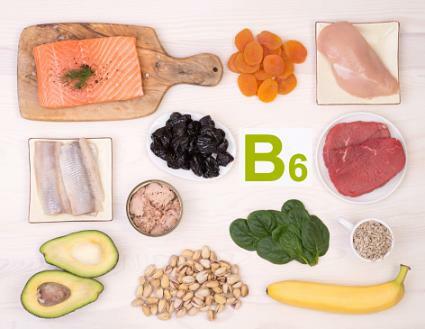 Knowing how much vitamin B6 your body requires daily to function properly and how to avoid overdose is important. Fortunately, you shouldn't experience vitamin B6 toxicity from eating B6-rich foods. However, the Linus Pauling Institute notes adverse, even dangerous, side effects have been reported from taking vitamin B6 supplements. For this reason, a tolerable upper intake level -- which is a maximum safe level you should consume daily -- has been established. The tolerable upper intake level for vitamin B6 for all adults is 100 milligrams per day. If you're taking vitamin B6 supplements and are experiencing symptoms of B6 overdose, it's time to seek help from a medical professional. If you've had more severe side effects like difficulty walking, loss of control of body movements, or a seizure, have someone else drive you to the hospital. Chances are, if you're eating a well-balanced diet including plenty of protein foods, whole grains, fruits, vegetables, nuts, seeds, and legumes, you're getting all the vitamin B6 your body needs. Taking a multivitamin supplement containing vitamin B6 helps ensure you meet your body's requirements without the risk for overdose. However, avoid taking high doses of B6 supplements (more than 100 milligrams per day) unless your doctor recommends it and supervises you.